We admit children up to our annual admission limit of 60. Where there is over-subscription, priority will be given to children whose older brothers or sisters attend our school. Thereafter, geographical factors will be considered. Medical, social, educational or personal reasons may override the above. See Admissions information on the Herts County Council website. For Nursery admissions 2019-2020 please contact the school. Children whose birthdays fall between September 1st and August 31st start Nursery in the September before their fourth birthday. All children start Reception in September. Prospective parents are urged to make arrangements to come and see the school. 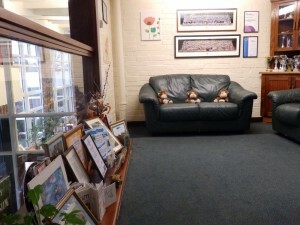 During this visit they will be made welcome, and be able talk to the headteacher. We would recommend making an appointment for this purpose so that sufficient time can be devoted to the matter. Parents who, having visited other schools, decide that they would like their children to attend this school are asked to complete an admission form and return it to County before January of the year in which their child is due to start. We also ask that the school’s admission form is completed. We ask that our Home-School Agreement is signed on admission. Nearer the actual date of admission, arrangements will be made for parents and children to visit the school together. We will also organise a visit for Reception children to join their new class. Complementing this, there are detailed New to Nursery and New to Reception parent meetings on our policy and practice. Our policy on admissions follows that outlined by Hertfordshire County Council. Admissions information on the Herts County Council website. For Nursery admissions 2019-2020, if your child reaches four years old between 1st September 2019 and 31st August 2020, do contact the school. Click below for our policy and for the application form.